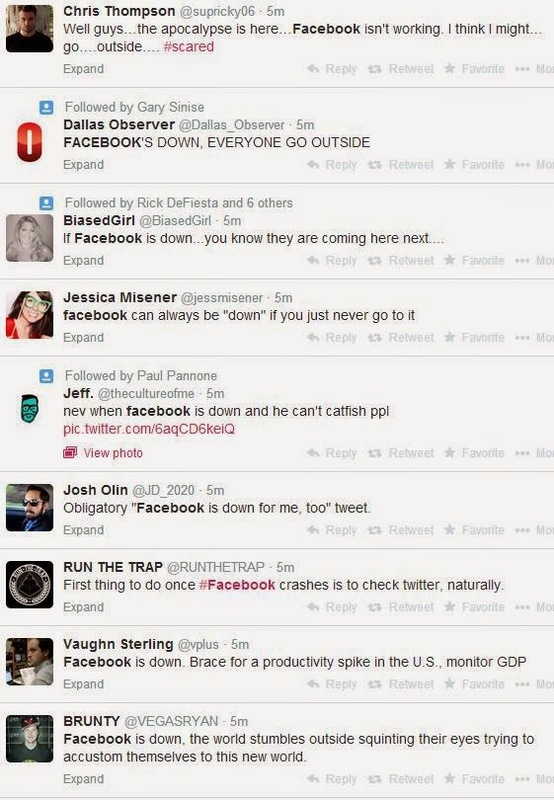 Facebook is down right now was down for about 15 minutes or so and more than a few Twitters users are were having a snit fit about Facebook users checking to see if other people were having trouble accessing Facebook. They're not all snobs...some of them look like they're trying really, really hard to be comedians. 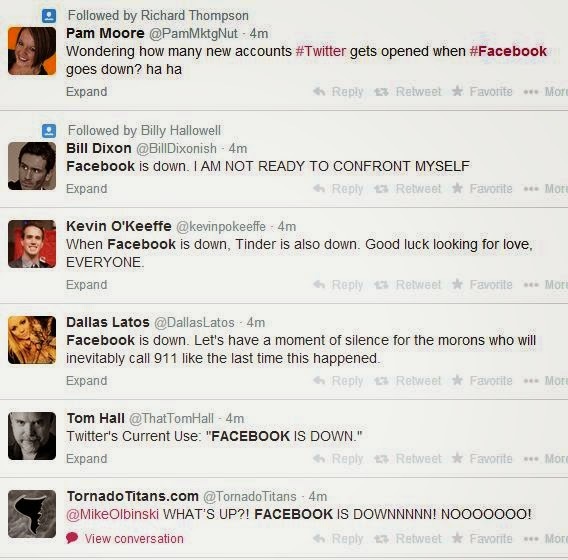 I wonder where they go when Twitter goes down? 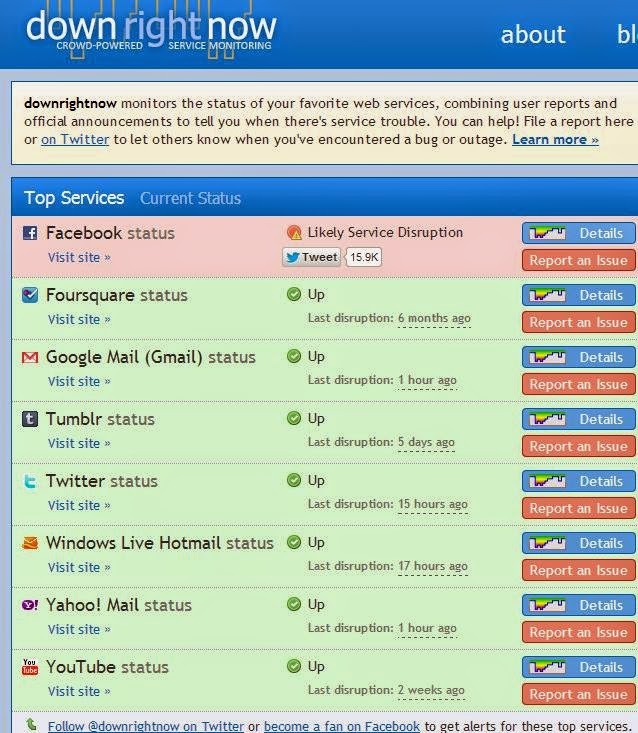 I usually go to www.DownRightNow.com to check if a website I use is down but, that isn't wasn't even working...that's why I went to Twitter, you snobs. 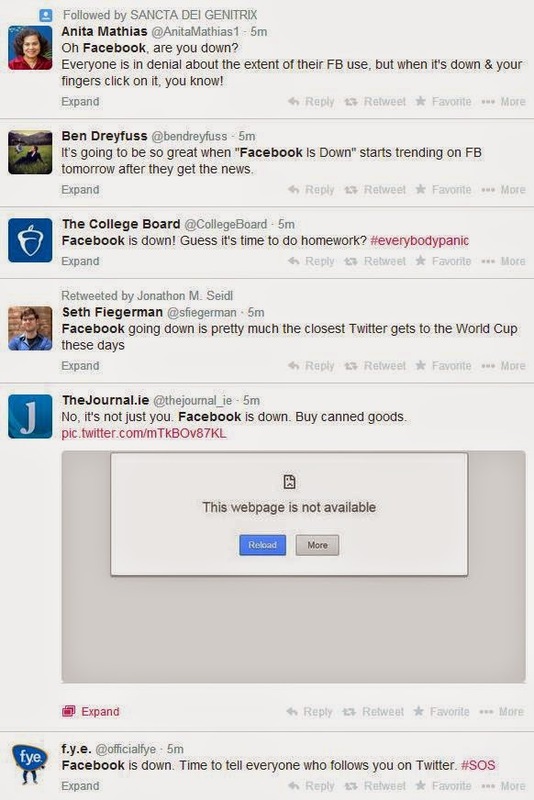 Too bad I couldn't access DownRightNow earlier, that would have prevented the formation of this blog post. 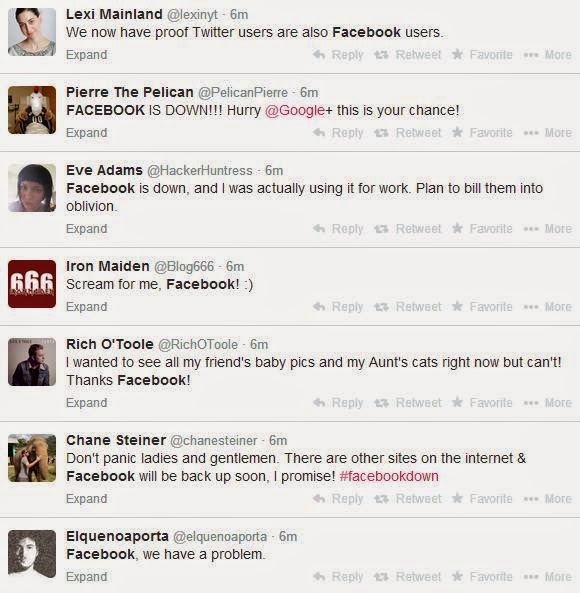 Since Facebook is back up and running, I'm going to go make fun of Twitter users now.